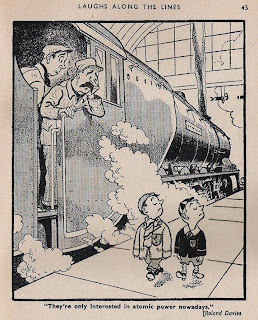 Roland Davies is arguably best remembered today for his cartoon and comic strips but there was much more to his art than that. A number of profiles have already been written about Roland Davies including a superbly comprehensive chapter in Norman Wright and Davis Ashford’s recent publication, Masters of Fun and Thrills. It is hardly necessary to write yet another but, as an introduction to some of his art that is not so well known, I think it appropriate just to mention some of the salient points of his stellar career as an artist and illustrator. The first thing worth mentioning is the rather strange discrepancies relating to his date of birth. No one seems to dispute that he was born in Stourport, Worcestershire and named Roland Oxford Davies, but the exact day and year of birth have varied among normally reliable sources. In an article I wrote about him for Cartophilic Notes & News I plumped for 22 July 1904 and I am pleased to say that Steve Holland also believes this to be the correct date. Roland attended evening classes at the Ipswich School of Art before enrolling for full-time study. 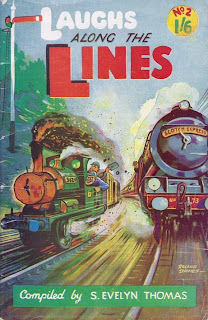 His first job was as an apprentice lithographer where his assignments included designing cinema and railway posters. His first freelance work appears to be for motor-related magazines, which is in accord with Roland’s own keen interest in speed. 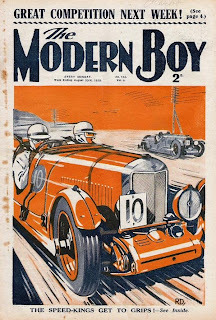 When a new boy’s weekly, Modern Boy, was launched in 1928 Roland was among the recruits engaged to design the action-filled front covers. 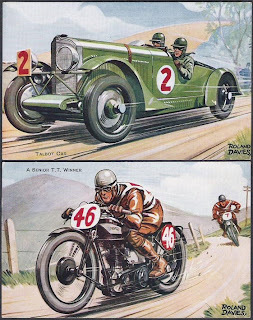 His work for Modern Boy and similar comic papers brought him to the attention of printers Mardon, Son & Hall, and Roland was commissioned to prepare the artwork for a series of 50 cards to be issued by Ogden’s and titled “ Motor Races, 1931”. This was a significant assignment as Davies was also required to write 80-100 word texts to accompany the illustrations - and all to a tight deadline originally set as 10 November 1931. 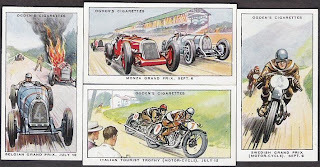 The set features both cars and motor cycles, with the first 33 cards covering the former and motor cycles the balance. 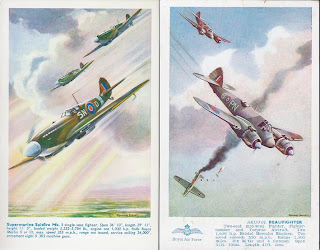 The first card depicted Malcolm Campbell breaking the world’s land speed record in Blue Bird on Feb 5th with the cards then running in date order through to Sir Henry Birkin at Brooklands on Oct 17th. The motor cycle section covered various events from the 100 mile sand race at Southport on May 9th to the Manx Senior Grand Prix on Sept 10th. It was an astonishing feat to have recorded and describe these events in graphic detail, and although the original issue date was missed the cards finally found their way into packets of cigarettes in December 1931. 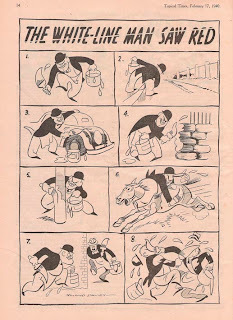 More important work lay ahead in the following year when Roland’s celebrated comic strip, “Come on Steve” was picked up by the Daily Express in March 1932. This ran until 1939 when unaccountably the Express let the strip lapse, although it was promptly picked up by the Sunday Dispatch and ran for a further 10 years. 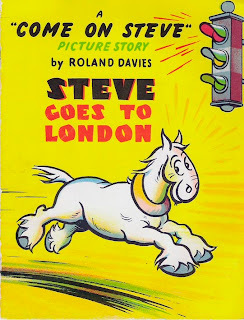 The character of carthorse Steve also featured in animated films and various books and booklets, the latter mainly appearing after the war published by Perry Colour Books. Probably also in 1932 J Salmon Ltd of Sevenoaks in Kent became another client when they commissioned designs for their Salmon Series of postcards. I have five speed-related cards from this period although the likelihood is that at least six illustrations would have been commissioned. The items I have are: Talbot Car; Miss England; The Cheltenham Flyer; Schneider Trophy Winner and A Senior T.T. Winner. These were in print throughout the 1930s. 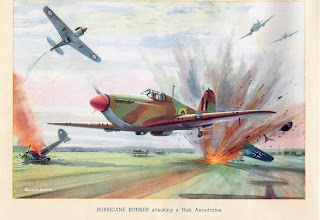 Salmon’s maintained contact with Davies and during WWII he designed some superb action studies of British fighter aircraft. Reprints of these are still being produced by Salmon in modern postcard size. On July 30th, 1938 D C Thomson launched their new comic, Beano, and Davies was among the first contributors with “Whoopee Hank” and “Contrary Mary the Moke”. The following year he was also engaged by Amalgamated Press to contribute to their new title, Knockout. 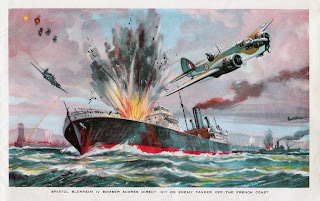 During the War, Davies took up a permanent position with the Sunday Dispatch but continued to contribute elsewhere, including the Thomson sporting paper, Topical Times. 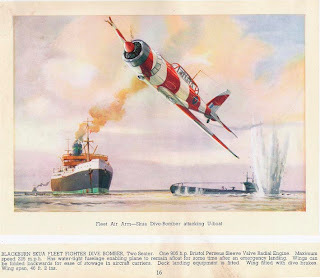 His patriotic contributions to the war effort published by Raphael Tuck included Air War at Sea and War in the Air in addition to the titles mentioned in Masters of Fun and Thrills. 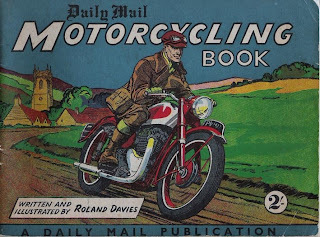 After the war, Roland contributed to several Teddy Tail Annuals, did a couple of motor cycle booklets for the Daily Mail and in 1949 took over the long running Sexton Blake strip in Knockout. 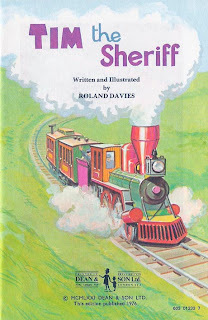 From the 1950s onwards Roland Davies strips appeared in Swift, TV Comic, Girl and Disneyland in addition to which he contributed to several annuals. In the late 1960s to early 1970s Deans published a small number of children's booklets which featured Roland Davies’ artwork, but thereafter he changed direction and took to painting landscapes, seascapes and street scenes for the art market. A wonderfully varied and creative career was brought to an end when Roland Davies died on 10 December 1993. Note from Steve: Davies is often said to have been born in 1910, an error that I believe first appeared in Denis Gifford's entry for Davies in The World Encyclopedia of Comics. This date has been often repeated, but even the briefest check with birth and death records reveals that he was born in 1904. I knew Roland many years ago he was a nice little gentleman to speak too.I loved his work. I bought two of Roland Davies Parisienne paintings in the mid 1980s. They are my favourite pictures. I have two paintings of Richmond by Roland Davies. does anyone know of any connection that he might of had with the area? I can't find any immediate connection but I'll keep looking. According to the 1939 Register Roland was born on the 26 July 1904. He was my late wife Cherrill Davies' great uncle. Interesting... according to the Record Transcription of England and Wales Deaths he was born on 22 July; The World Encyclopedia of Comics entry compiled by Denis Gifford also gives 22 July, while Denis' obituary of Davies for The Independent gives 23 July. I wonder which is correct? Does anyone know anywhere displaying Rolands work.